Another body of a miner has been detected inside the coal mine at Khloo Ryngksan in East Jaiñtia Hills district. 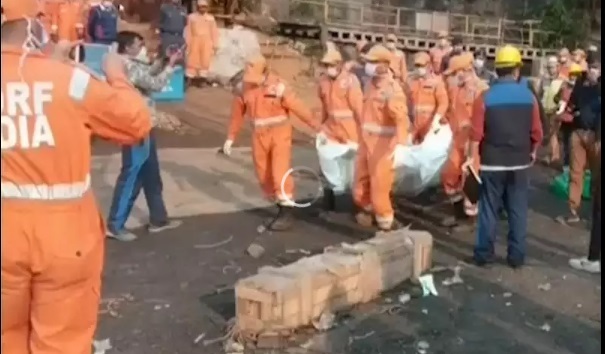 East Jaiñtia Hills district deputy commissioner, FM Dopth said on Saturday afternoon that the Indian navy has informed that another dead body was detected this morning at 3am at around 280 feet from the main shaft. The detection came after the first body of Amir Hussain was detected by the Indian Navy divers inside the mine on January 16 by using their underwater remotely operated vehicle. The body of Amir Hussain was handed over to the family on Saturday after it was identified and claimed by his wife and mother who are from Chirang district in Assam.